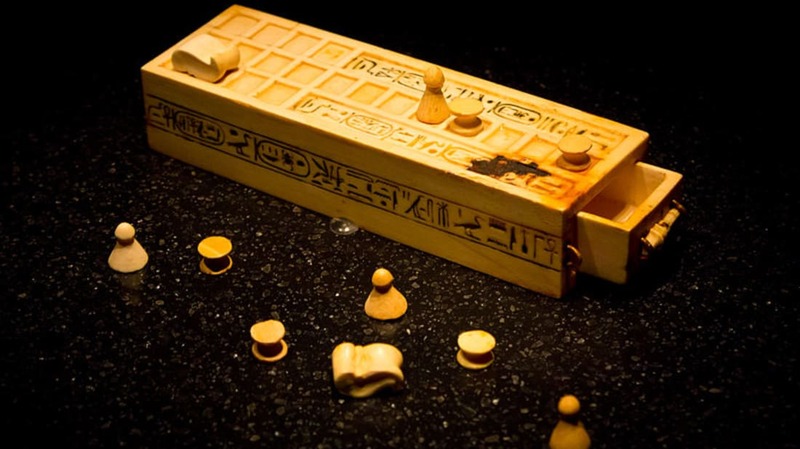 Some of these games have been around for over 4000 years, and although some have disappeared from history, archaeologists have worked tirelessly to discover the rules. Hieroglyphs depicting Egyptian Senet players date all the way back to 3100 BCE. Even King Tut had a copy—it spent around three millennia lingering in his tomb before modern archaeologists got their hands on it. One might call this Rome’s answer to chess: The elegant strategy game required armies of black and white pieces to duke it out across boards made with wood, marble, stone, or silver. Ur (aka: “The Game of Twenty Squares”) has been around since at least 3000 BCE and took hold in ancient societies from Egypt to India. Try it out for yourself with the British Museum’s free shockwave version. Fair warning: it’s way more addictive than solitaire! Throughout the Aztec empire, noble families and peasants alike were known to relish patolli. Participants threw dotted stones or beans to determine how their pieces would move over a cross-shaped board. Gambling was usually involved. Experts aren’t sure what the object of this ancient Egyptian game was, but, in any event, it involved a board shaped like a coiled snake. Marbles may have also been involved. This one is still very much alive and kicking. Go likely originated in China between 2500 and 4000 years ago (Confucius himself even wrote of it). Fast-forward to the present age, in which the American Go Association’s e-journal reached 13,000 subscribers as recently as 2011. Now that’s longevity! An ancient Roman duodecem scripta table can be seen in Turkey’s Ephesus Museum. Unfortunately, the instruction manual is nowhere to be found, and nobody knows exactly how it was played. The Egyptians might have enjoyed a primitive version of mancala as far back as 1000 BCE. Back then, it was likely played on surfaces made with stone or ivory. Today’s enthusiasts, in contrast, largely prefer wood. Terni Lapilli boards were akin to tic-tac-toe grids and a fairly common sight during the Roman Empire.